Managing field operations efficiently and strategically is critical to maintain successful network and customer service operations at optimum cost. Through its own field team and partners across various geographies, TCTS ensures the best of expertise and local knowledge are leveraged. However, from a customer point of view, TCTS acts as a single point of contact for managing deliverables as per desired service levels. We offer operational synergies, wherever possible, to bring in a cost effective solution without compromising on service quality. 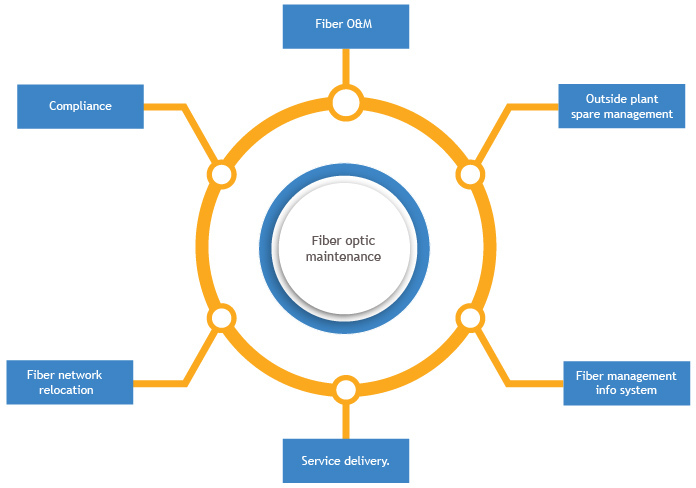 Although Fibre optic maintenance is a part of an overall field service, it is often managed as a separate operation considering the importance, complexity, skill set and diversity of fibre network in most of the Service Provider's network. TCTS leverages its proven rich knowledge and standard processes in managing Fibre Operations and Maintenance operation. The key drivers of managing a fibre network are optimized utilization of available Fibre routes and maintenance of good fibre health. 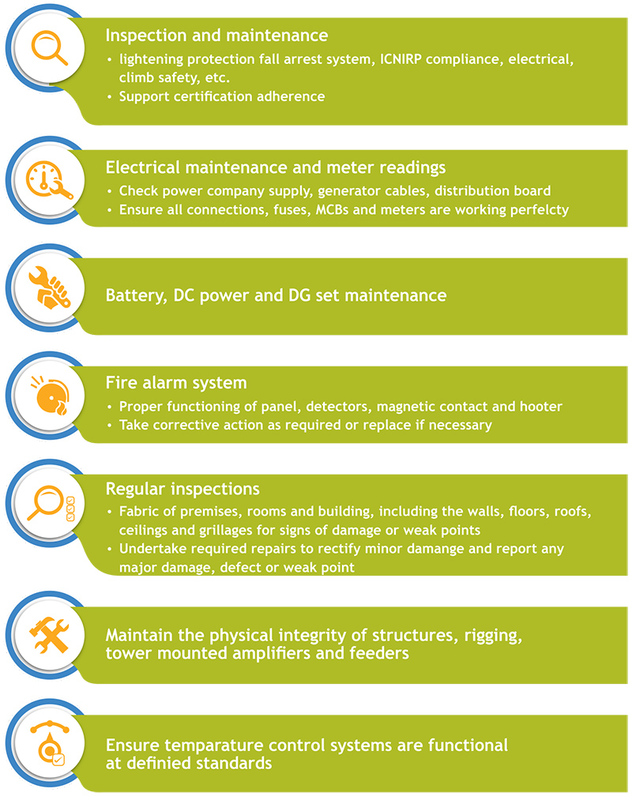 TCTS provides a comprehensive suite of services that cover all passive components. Enabled by our partnering capability across geographies, we provide a desired level of services where we do not have direct access to a field team. This model leverages the local knowledge and proven expertise with 'day one readiness'. TCTS understands that design optimisation has to equally focus on Access Network, Core Network and Drive Tests. Cover complete backhaul transmission planning including cross domain (Fibre-DWDM-IP MPLS) access network Fibre planning & cell site equipment covering microwaves, access DWDM, routers, switches etc. New feature planning like QoS/Adaptive modulation/upgradation to higher modulations etc. Undertake complete assessment of existing network & solutions for voice core & packet network elements and subsystems as mentioned above. Coordinate with 3rd party implementation team / field operations to ensure that the plan is deployed as per agreed design / solution and timelines and to verify the same. Drive test equipment (including handsets) to be upgraded regularly to ensure measurements are done with latest devices that capture customer's experience of the network.